Veteran Acres is one of the crown jewels of the Crystal Lake Park District. Located on the site are the Crystal Lake Park District Nature Center, Rotary Building and Oakwoods Lodge. This park boasts a variety of outdoor athletic fields and recreational areas including restrooms, two picnic shelters, a playground, two lighted tennis courts, a basketball court, Mary Peacock softball field used by the Girls Softball Association, Frank Repp baseball field used by Babe Ruth Baseball League, a sled hills, Acorn Alley splash pad, walking paths, boardwalk and fishing pier. 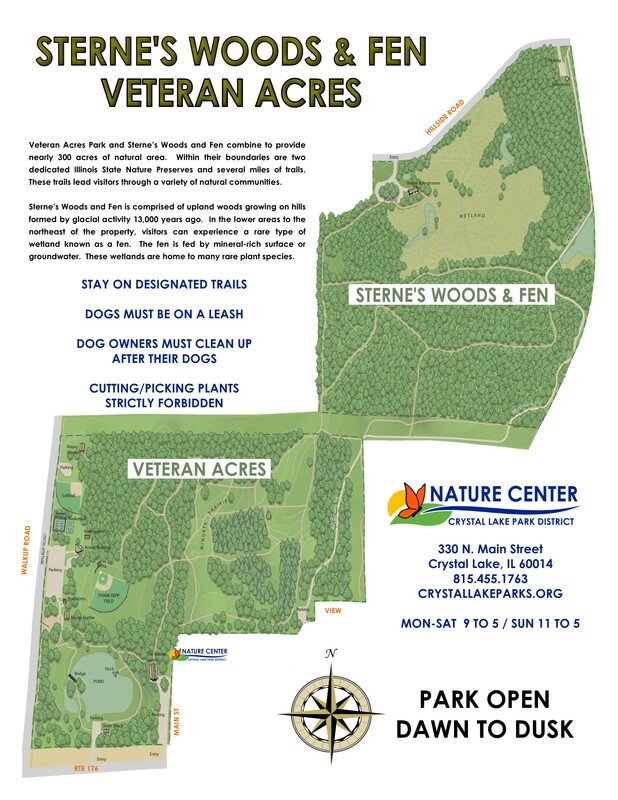 Veteran Acres is home to the regionally recognized Nature Center. Since the Nature Center re-opened in 1998, we have upgraded and are constantly striving to improve our facilities, but our goals have remained the same. Open year-round, we provide a unique opportunity for anyone to experience nature through progressive programs, hands-on activities, seasonal exhibits and volunteer opportunities. Located in Veteran Acres Park, it is the ideal starting point for a hike through the Veteran Acres Woods and Wingate Prairie. Veteran Acres is home to the Acorn Alley Splash Pad and Playground. 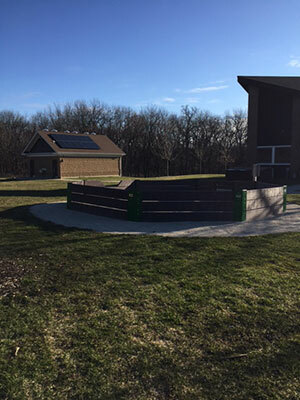 Please note: Groups of 20 or more wishing to use the picnic shelter must obtain a special permit at the Crystal Lake Park District Administrative Office. Veteran Acres has multiple picnic shelters and areas for rent. 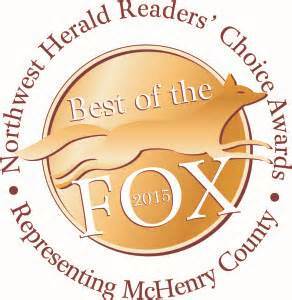 For rates and locations, click on the button below. Ultra Runners from all over converge on Veteran Acres and Sterne's Woods each year for the McHenry (County) Ultra Running Dudes and Dudettes (MUDD) Frozen Gnome. In The Frozen Gnome's race, runners chose either the 50K ultra run or a 10K through the snow and terrain of the park. Thank you to MUDD for sharing this video clip from the event and also passing on kudos from runners about Veteran Acres Park. "A huge thank you to you and all of the volunteers. This was my 6th trail run & was the most enjoyable due to the course layout & volunteers. I've passed by VA Park many times, heard there were trails back there but never thought too much of it being in Illinois, my oh my was I ever so wrong. Had a blast!." In 2016, an Eagle Scout project resulted in a Gaga Pit installation at The Rotary Building. It is open to the public and will also be used by Summer Day Camp groups and field trip groups. It is free to use. Just bring your own equipment. Check out how to play and find out what equipment is needed. 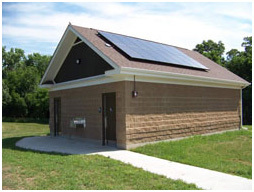 Solar panels were added to the newly renovated Veteran Acres Bathroom. Check out the energy production in real time! Be sure to check out the bottom of the report for the Environmental Benefits to Date. As of August 2016 enough electricity has been produced to power one cell phone for 422 years!